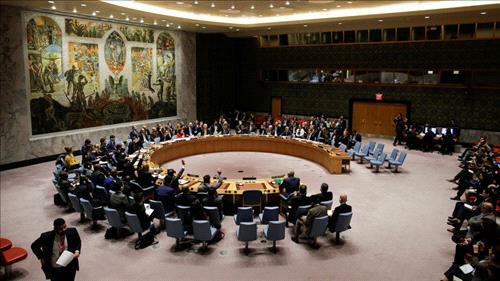 AMMONNEWS - Members of the United Nations Security Council issued a statement on Wednesday condemning in the strongest possible terms the multiple Houthi missile attacks on several Saudi cities. “The members of the Security Council underlined that such attacks pose a serious national security threat to the Kingdom of Saudi Arabia as well as a wider threat to regional security. The members of the Council also expressed alarm at the stated intention of the Houthis to continue these attacks against Saudi Arabia, as well as to launch additional attacks against other states in the region,” the statement read. Saudi Arabia’s air forces have responded to 104 ballistic missiles launched by Iran-backed Houthi militias on the kingdom since the June 6, 2015.